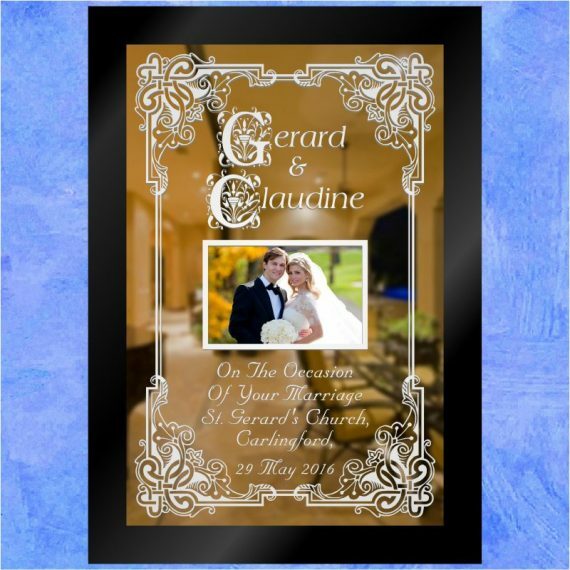 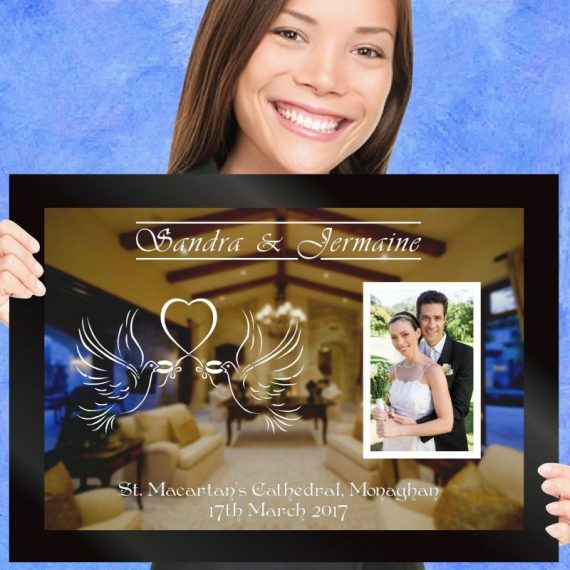 A contemporary etched-mirror design comprising of a heart-felt verse, decorative border artwork, the wedding day details & a favorite photo. 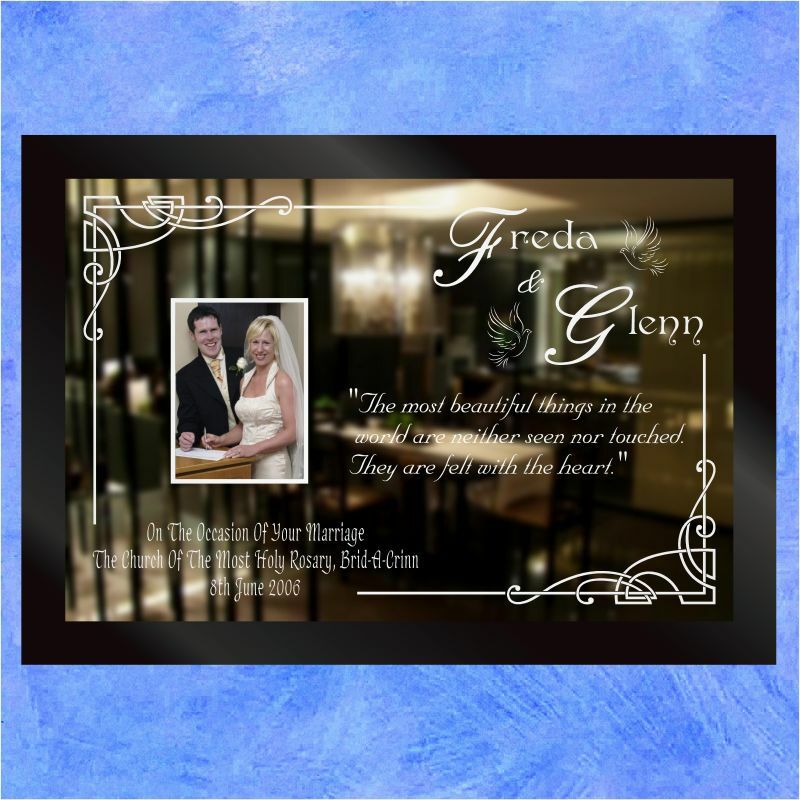 Size: 33″x23″. 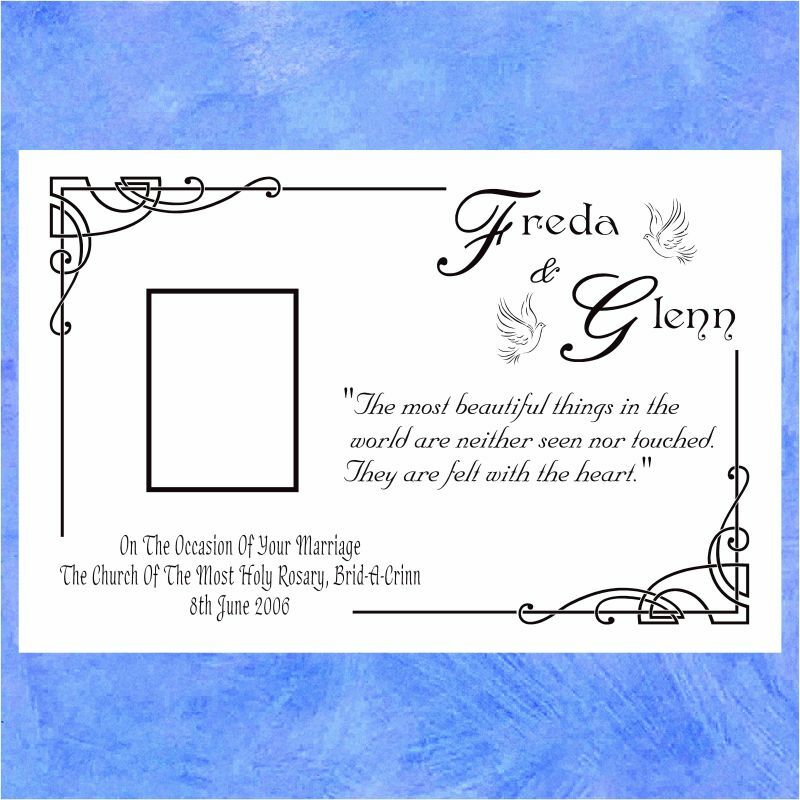 'The Most Beautiful Things...' is one of our personal favorite designs in the catalogue. 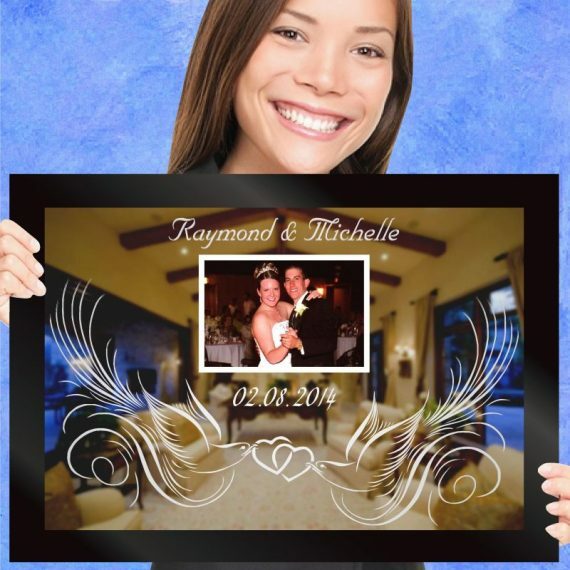 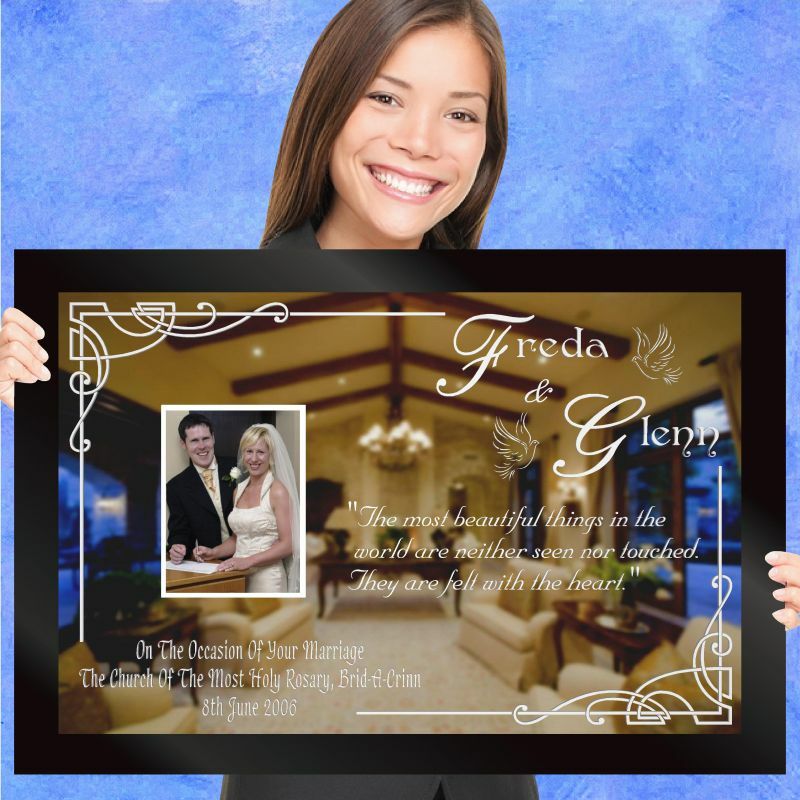 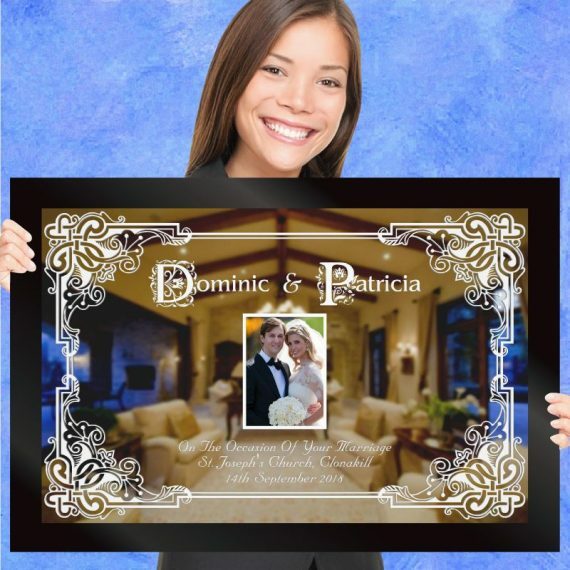 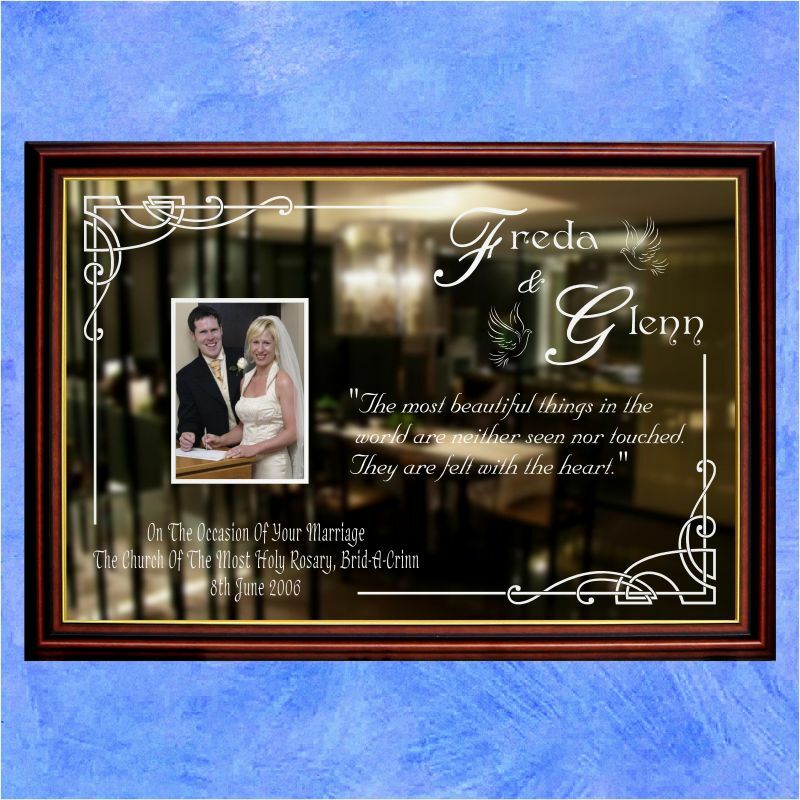 With the doves hovering around the beautiful lettering of the bride and groom's names, the large space for the recipients to attach a 8"x6" photo of their wedding day, and an inspirational message, this is a wedding gift that you will be remembered for long after the wedding vows have been exchanged!